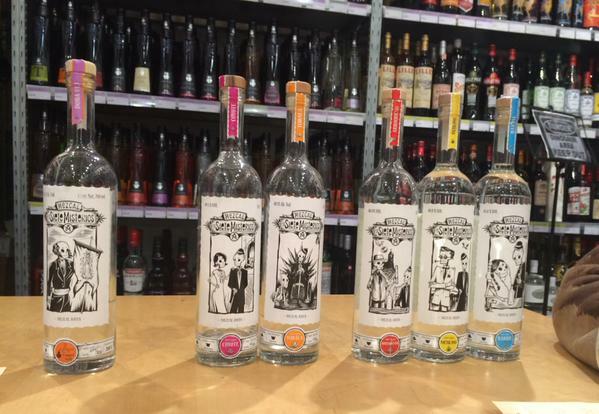 One of the most noticeable new trends in the UK spirit market is the rise of mezcal and we’re certainly very proud to have the best and most exclusive selection of mezcal available in the UK. Not everyone will be familiar with the spirit mezcal and a lot of the time it can be mistaken to be the same as tequila. There are however a few major factors that set these two Mexican spirits apart. Tequila is produced only in three small regions, Jalisco, Nayarit and Guanajuato, the most common of the regions being Jalisco. Mezcal, on the other hand, can be produced in most Mexican states with the majority of production taking place in Oaxaca. Tequila can only be called tequila if it is made with Blue Agave whereas mezcal can be produced using over 30 varieties of different agaves. Because of this each mezcal varies hugely in flavour as opposed to tequila which tends to be of a similar taste. When it comes to cooking tequilas, the piñas are baked in steam ovens whereas traditionally with mezcal the piñas are roasted in an underground pit filled with wood and charcoal. Basically, think of it like this: mezcal is to tequila as scotch single malt is to bourbon, in that it’s a lot smokier and has a much more earthier flavour. Simple.. yes!? So when Jon Anders, Amathus Brand Champion, spoke to the Morning Advertiser, it was interesting to hear his view on the sudden rise of mezcal in the UK spirits market. ‘Mezcal is the big one. It happened almost overnight, two or three years ago no one had heard of mezcal, now you can get it in bars all over the country’. ‘It taps into the same trend that gets people interested in whisky, as there’s so many different expressions out there. It’s a premium spirit, we sell small volumes but consistently, which is over the odds for a high price imported spirit’. ‘People will be willing to search out places that serve drinks that have that authenticity and quality. They are willing to learn, they read about something on the internet then they want to come to the bar and try some of the drink they hear about, to experiment’. This just shows how much the spirit market can change over time. Something that people had never heard of 3 or 4 years ago is now fast becoming a must have in bars, restaurants and people’s alcohol cabinets. If mezcal is your thing then stay tuned…we have a Mezcal Alipus & Los Danzantes masterclass coming soon to our Soho store. 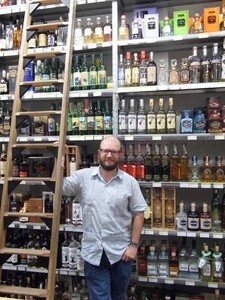 In the meantime have a browse of our great selection of mezcal, available in store and online. Happy shopping! For the full article please visit http://bit.ly/1hrDuNX.